Good morning! Hope you had a relaxing weekend. Let's sports. Bracket challenge: We have a two-way tie for first place! Check how you're doing. Heading into yesterday's slate of games, "One Shining Moment" felt way too literal, with LSU's Tremont Waters producing the only truly iconic moment in a tournament that typically churns them out. Duke and UCF did their best to make up for that, delivering an epic Sunday battle that had me writhing on the floor (more on that game in a second). But through two rounds, this has been one of the least mad March's in recent memory. Proof: The tournament has been so predictable that someone literally predicted it. There's still one perfect bracket left, which has never happened before. First round: 15 of the top 16 top-four seeds won their games, with UC Irvine managing to pull off the only upset. Second round: 15 of the 16 games were won by the higher seed and all 16 were won by the Vegas favorite (the only lower seed to win was No. 5 Auburn, which was a 2.5-point favorite over No. 4 Kansas). On top of that, 11 of the 16 games were won by double-digits. What's next: The Sweet Sixteen starts on Thursday. 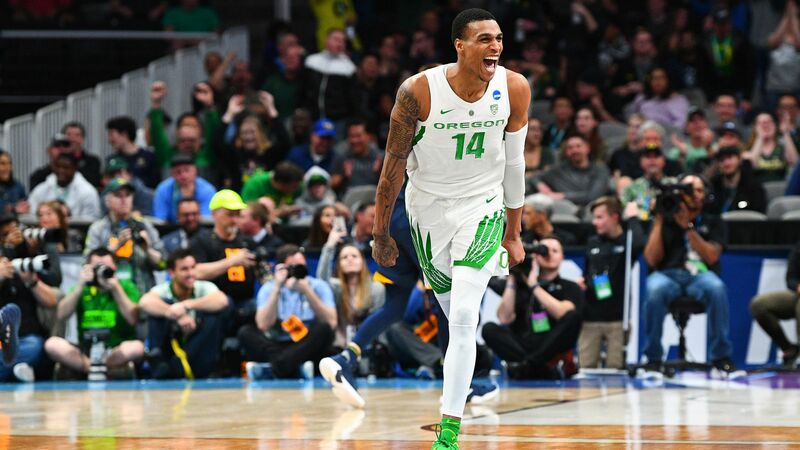 The bottom line: Oregon, an athletic powerhouse which played in the Final Four no less than two years, is your "Cinderella." The final 128 seconds of Duke's thrilling 77-76 victory over UCF were full of what-if moments. If R.J. Barrett doesn't rebound Zion Williamson's missed free throw and score the game-winning basket, Skip Bayless probably begins a "Zion isn't clutch!" shtick that lasts for the next 15 years (he still might). If Aubrey Dawkins finishes that alley-oop, UCF almost certainly wins — and 40 years from now, he proudly shows that highlight to his grandkids (in virtual reality, or whatever we're working with in 2059). And then there's Dawkins' tip-in... how did that not go in?! The bottom line: Sports are about winning, so credit to Duke's youngsters for coming out on top. But sports — and particularly college sports — are also about learning tough lessons and coming together as a family. Watch this, please: Sports, man. Patriots tight end and national hero Rob Gronkowski announced his retirement on Instagram last night, concluding a career marked by on-field dominance and off-field goofiness that was always so genuine — hence why we love him. The big picture: "Despite his relatively short career, Gronk seems like an ironclad lock for the Pro Football Hall of Fame," write FiveThirtyEight's Neil Paine and Michael Salfino. Fun fact: If he's a first-ballot Hall of Famer in 2024, he'll be just 35 years old, tied with Jim Brown as the second-youngest enshrinee ever behind Gale Sayers (34). First-down machine: On a per-target basis, Gronk picked up 9.9 yards. That's the best of any receiver — wideout or tight end — since 1992 (the first season for target data on Pro Football Reference). Touchdown/ball-spiking machine: With 521 career receptions and 79 career touchdowns — and, thus, spikes — Gronk scored a TD once every 6.6 catches, which ranks ninth all-time behind Don Hutson, Paul Warfield, Tommy McDonald, Art Powell, Jimmy Orr, Wesley Walker, Randy Moss and Lance Alworth. The bottom line: "With those rates of great things happening whenever he was involved in the play, it's easy to make a case that Gronkowski was the most efficient receiver (of any type) in NFL history," write Paine and Salfino. Food for thought: "Gronk's plight is football at its most fundamental. He was everything we revere about the game but was still too human to withstand its brutality," writes The Ringer's Robert Mays. What's next: If Gronk isn't in the WWE or starring alongside The Rock in "Baywatch 2" within the next year, I will be both shocked and appalled. The 2019 men's hockey bracket is out, with three Minnesota schools — St. Cloud State, Minnesota Duluth (defending champs) and Minnesota State — earning No. 1 seeds. Games start on Friday. If the final weekend of conference tournaments is any indication, the next few weeks should be quite fun. Four of the six conference title games went to overtime, and all six ended in 3-2 scores. The big picture: Thanks to an expanded pool of players coming from Europe and emerging markets like California and Florida, the sport's balance of power has shifted in recent years. Of the seven teams with five or more national titles, only Denver made the tournament. Conspicuously absent from the 16-team field: Minnesota, Michigan, Boston College, Boston University, North Dakota and Wisconsin. D-I women: Wisconsin defeated rival Minnesota 2-0 to end its eight-year title drought. Badgers goaltender Kristen Campbell (27 saves, third straight shutout) was named the tournament's most outstanding player. D-III men: UW-Stevens Point (29-0-2) defeated Norwich 3-2 in overtime to win its sixth national title and become the first undefeated champion in D-III men's hockey history. D-III women: Plattsburgh State defeated Hamline 4-0 to win its fifth national title in six years. Best buzzer-beater: Jeremy Lamb heaved a desperate shot from beyond half-court as the buzzer sounded and somehow banked it in. Hornets win by one ... a day after going on a 30-5 run to stun the Celtics. Heck of a weekend for a team in the thick of the playoff hunt. Best stat: The last time LeBron James missed the playoffs (2004-05 season), 95.6% of current NBA players weren't in the league. Actually absurd. Best organization: Speaking of mind-blowing stats, try this one on for size: Since the 1997-98 season, the Spurs have had a losing record for a grand total of 65 days. Second on that list is the Rockets ... at 1,007 days. Best seats: The Bucks' high-tech bench seats took three years, 12 University of Colorado students, a New Zealand research group and six prototypes to perfect. They're highly adjustable and are made to heat to 106 degrees Fahrenheit — "the optimal heat to maintain muscle temperature." Dive in. 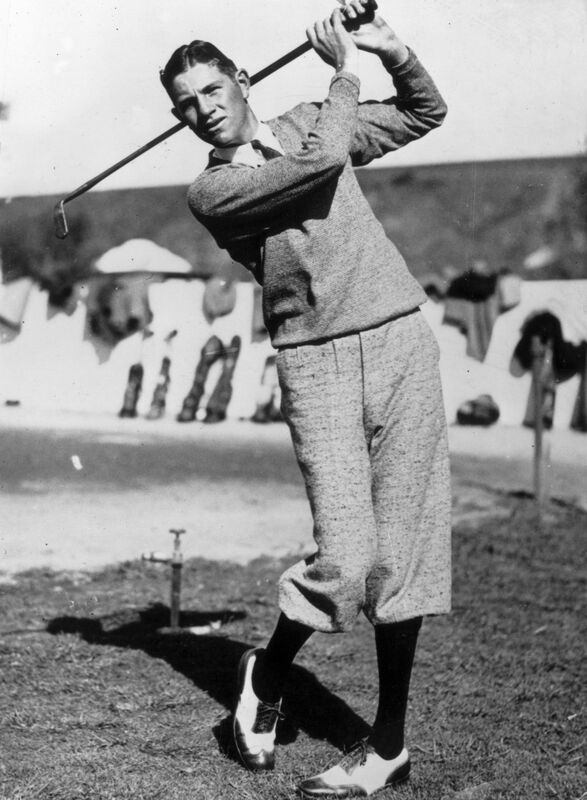 85 years ago today, Horton Smith (-4) won the first Masters golf tournament, then known as the Augusta National Invitational Tournament. Augusta National founders Bobby Jones and Clifford Roberts at first sought a U.S. Open for their new course, but upon learning that wouldn't happen anytime soon, they decided to put on a modest tournament of their own. "They were broke," said Jones biographer Sidney Matthew. "It was the height of the Depression; the economy was on its tail; and they were very much worried about trying to get more members and get the word out about the golf course." $1,500: Smith's first-place prize money. 13th: Jones, who had retired from competition four years earlier after completing the 1930 Grand Slam, finished tied for 13th place. Question: Who won the NL Rookie of the Year Award in 2001, the year Ichiro won it in the AL? Hint: He's a 10-time All-Star and two-time World Series champion. "Marathon runners often use races to explore the world, and every March the Baikal Ice Marathon attracts a small group to the lake ... both for its exotic, ethereal beauty and the unpredictable, grueling conditions," writes the NYT's Neil MacFarquhar. "Race day started with a 55-minute ride on 10 small hovercraft across the lake to the starting point. This year 97 men and 30 women participated from 23 countries, with a quarter of the racers from Russia." Fun fact: Lake Baikal is Earth's largest, deepest body of fresh water, holding roughly 20% of our planet's fresh surface water. Worth clicking for the photos, alone. 9. 🎰 Pick 3: Make your picks! 1. NCAA Tournament action is on hold until Thursday, but the NIT rolls on. Who will cover the spread between Colorado (-10) and Norfolk State? Betting 101: Colorado is a 10-point favorite, so they must win by more than 10 points to cover the spread. Norfolk is a 10-point underdog, so they must lose by fewer than 10 points (or win) to cover. 2. Will Brooklyn's D'Angelo Russell record a double-double (points + assists) vs. the Trail Blazers? Know this: Russell has recorded a double-double in three straight games, all on the road. His career averages against Portland: 17.5 points, 8.5 assists. 3. Who will cover the spread between the 76ers and Magic (+2.5)? Know this: The 76ers are just 1-4 against the spread when favored on the road this season (as they are tonight). P.S. Want more betting content? Download The Action Network app.